Different Circumstances that Can Lead to Probation Violations. Fail to appear at a scheduled court appearance. Do not report to the probation officer assigned to you at a certain time or at a specific place. Go to certain places or visit people without getting permission from your probation officer first. Commit another crime or offense while you are still on probation. Get arrested for an offense, regardless of whether or not it is considered a criminal action, while you are on probation. What happens after probation violations is also highly variable. For example, if you violate the terms of your probation, your probation officer may require you to attend a court hearing to discuss your particular violation. When deciding what penalties to apply to your case, your probation officer may take into account the type of condition that you violated, past violations you’ve committed, warnings, the severity of the violation, and other factors. If you are found guilty of violating your probation during a hearing, sentencing will likely occur shortly thereafter. In this situation, you may be required to spend time in jail, your probation may be extended, or your ability to stay on probation may be suspended. 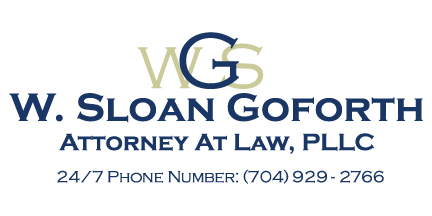 If you have any questions about probation violations, please reach out to me at W. Sloan Goforth, Attorney at Law. I am here to assist you in the aftermath of any probation violation charges made against you.